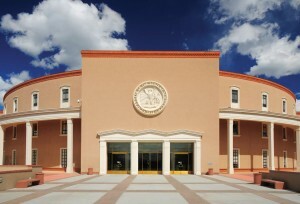 The NM State Legislature will convene on January 17th for a 60-day regular session during which they will consider legislation on changes to statute (policy changes) as well as to approve a budget for fiscal year 2017 which starts July 1, 2017. In addition, because of a budget shortfall in the current year, the legislature will consider measures to balance the budget for the current fiscal year (ending June 30, 2016). 1) Notice of Water Transfers: Current law requires that an application to transfer a water right, which is a change in point of diversion, purpose of use, or place of use, be published in a newspaper of general circulation. The policy objective of this statute is to ensure that an individual or entity affected by the water transfer can raise concerns about the impact of the transfer. In the 2017 session, Senator Carlos Cisneros will introduce a bill to require that notice also be published on the website of the Office of the State Engineer. This would improve the existing notice requirements to ensure that those potentially affected can raise concerns about the application. 2) Definition of Local Public Body: State law defines a "local public body" as one that receives $10,000 or more annually in revenue. The rules of the Department of Finance and Administration require that local public bodies are required to submit draft budgets, final budgets, quarterly reports, and budget adjustment resolutions. These requirements are often burdensome for small volunteer acequias. Separately, the audit act has a tiered reporting system that requires that entities under $10,000 and under $50,000 to have a simplified reporting procedure. NMAA is proposing legislation to change the definition of "local public body" so that it is based on a $50,000 level rather than the current revenue of $10,000. 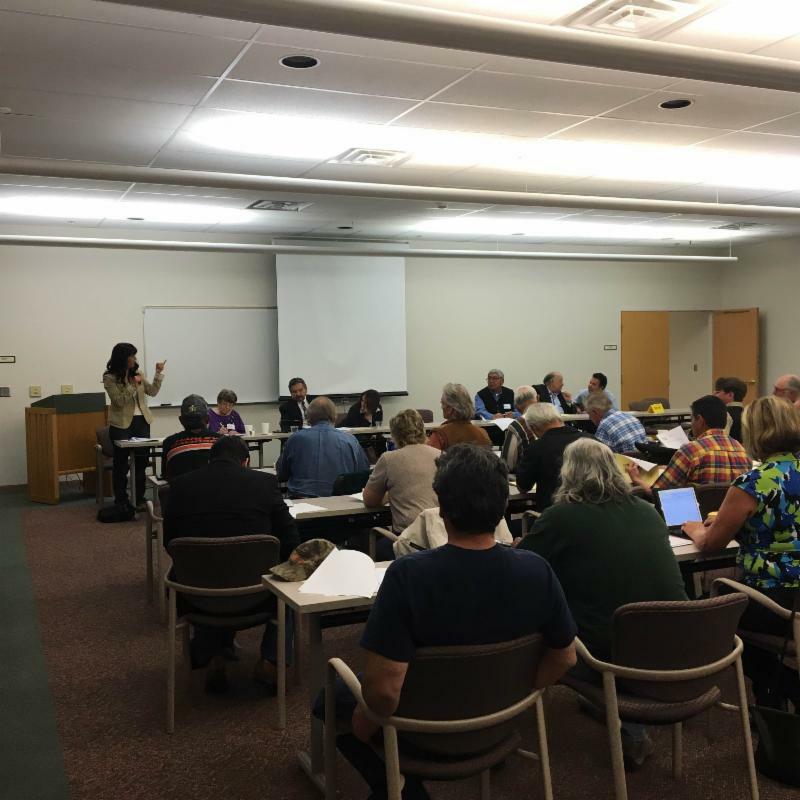 1) Category of Taxation for Open Space: An ad-hoc group in Taos and the Western Landowners Alliance introduced legislation in 2015 to create a category of taxation for lands that are not in agricultural production but that, for several reasons, including the potential of returning to agriculture, those lands should not be taxed as residential land. This year, for the 2017 session, an updated version of the bill will be introduced. The bill would create a separate category for "open space" for lands that would receive a special method of taxation. Agriculture would continue to have the lowest rate of property taxes but an open space category would be an alternative to having historic agricultural land not currently in use to jump to a residential rate of taxation. This legislation could potentially benefit landowners who want to keep lands in open space rather than develop the lands. 2) Food Tax: Several years ago, the State Legislature abolished the food tax because it was considered a regressive tax that disproportionately affected low income families. The bill had broad support from advocates for children and low income families as well as from the grocery, agriculture, and food industries. Because of the state's budget woes, there will likely be a package of tax proposals to generate revenue. In the past NMAA has not been active on this issue but may be more involved as part of the broader agricultural community to raise concerns about reinstatement of the tax. 1) Water Leasing: In the 2015 session, with the support of NMAA, Senator Peter Wirth introduced legislation clarifying that a water lease can only be effective after approval by the State Engineer through the statutory process. It was a response to instances where water leases proceeded while protests to those applications were pending, which was a violation of due process protections for protestants. The bill passed the Senate but died in the House. 2) Water Transfers and Water Exports: In the 2014 session, a bill was introduced by then-Senator Tim Keller to address concerns about water rights speculation related to large-scale transfers of water that effectively would export water out of rural communities to other parts of the state. The bill was not germane in the 30-day session, but the issue could be the subject of a similar or revised bill for the 2017 session.